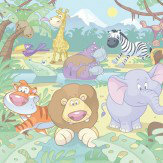 Walltastics Baby Range of murals, a small collection. Highly detailed, unique, 3D, computer-generated murals. Suitable for Tots. Easy to put up in 12 pieces. 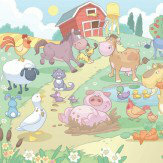 For kids bedrooms, Nurseries, Playrooms. The murals are 244 cm x 305 cm (8ft by 10ft). Walltastic has a unique blue backing which means if you do not wish to strip off the existing wallpaper there is no need to, the blue backing will not let the existing paper show through. 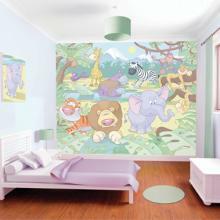 This Baby Range collection includes Dino World, Fun on the Farm, Jungle Safari and Under the Sea, all at an affordable price.